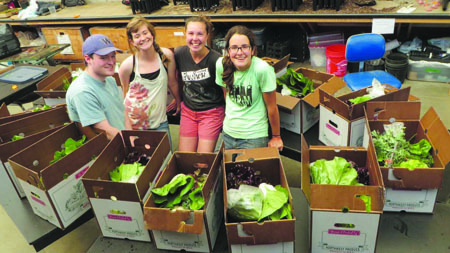 Last summer in the New York Times Julia Moskin wrote a thoughtful article entitled: “When Community-Supported Agriculture Is Not What It Seems.” It is worth reading and can be found here for those who want to do exactly that. Moskin’s basic point was that ‘farm share’ programs have evolved in complex ways from the original simple CSA model. This evolution has blurred the lines of exactly where the food is coming from, whether it is local, and whether local farmers are benefitting from the programs. 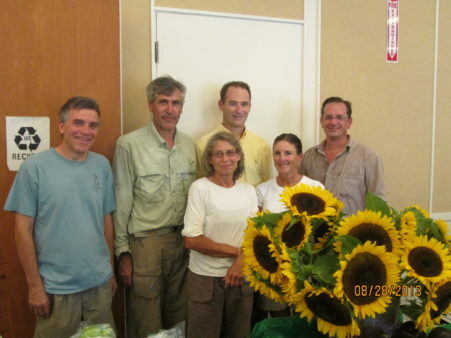 Traditional CSAs encapsulate a specific relationship between a farm and its customers. The model originated in the 1980s in the US — earlier in Japan and Europe — and the term adopted in Japan for the system could be translated as ‘food with the farmer’s face on it’. 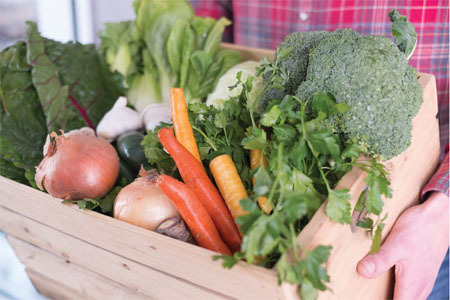 Whether started by a farm or by a group of consumers, a CSA was basically an agreement by the farmer to provide shares of the farm’s products each week during the season, and by each consumer to pay, upfront, the cost of their share. [Read more…] about CSAs, Aggregators, and Hubs, Oh My! [Read more…] about Why Aggregators? The farm provides member families with high quality, healthy, nutrient-dense, fresh and preserved, local and low fossil-fuel food or fiber, filling the share primarily with products grown on the farm or, if purchased from other farms, clearly identified as to origin. Farm members commit to the CSA, sharing the risks and rewards of farming by signing an agreement with the CSA and paying some part in advance, even as little as two weeks for those on Food Stamps. The farm nurtures biodiversity through healthy production that is adapted to the rhythm of the seasons and is respectful of the natural environment, of cultural heritage, and that builds healthy soils, restores soil carbon, conserves water and minimizes pollution of soil, air and water. CSA prices reflect a fair balance between the farmers’ needs to cover costs of production and pay living wages to themselves and all farm workers so that they can live in a dignified manner, and members’ needs for food that is accessible and affordable. Farmers consult with members, take their preferences into account when deciding what crops to grow and communicate regularly about the realities of the farm. In Anthony Graham’s words: “Ideas have a way of hovering until the time is right or the right person or group can give it form. Booker T Whatley sounds like he was a forerunner in the idea of communities supporting farms and farmers, but I don’t think he can be said to have created the CSA concept. In the mid 80’s what has now come to be known as CSA was an idea whose time had come, with roots in many places and in many people. It grew out of a sense of community and it came as an answer to a need. When the time was ripe it grew exponentially through the work of many people, not the least of whom were the farmers who recognized a great idea and ran with it.” In the South, Booker T. Whatley researched and taught farmers “How to Make $100,000 from a 25 Acre Farm.” Inspired by Swiss and German examples, Robyn Van En and Trauger Groh, Anthony Graham and Lincoln Geiger established the first CSA farms in the US in 1986, Indian Line Farm and Temple-Wilton Community Farm. 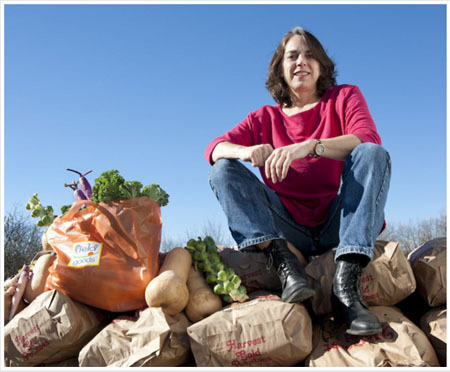 Robyn became CSA’s Johnny Appleseed, spreading the concept at Biodynamic and Organic conferences across the country. In 2017, there are over 7300 CSAs in the US. Since CSA migrated to the United States in 1986, this model has been remarkably successful. It has now grown to over 6,000 farms (estimated) in the United States and many more in Canada and the rest of the globe. All of this growth occurred despite the very grassroots nature of CSA, asking customers to pay up front, and the non-consumer friendly nature of the program. The current state of CSA would look like a huge success from the viewpoint of the CSA pioneers in Massachusetts and New Hampshire in 1986, however there are problems mounting in our community. CSA still only serves a small minority of families. In my local market of Pittsburgh, I estimate that 5,000 CSA shares are sold per season in a metro area of 988,000 households. That means only 0.5% of households in this region buy a CSA each year. What a huge opportunity for growth! Of course, we won’t convince everyone to buy a CSA share. That’s fine, but even if CSAs grow membership by 10x, that’s still only 5% of households. I believe that we can get there, but it will not be easy. Community is not a warm and cuddly marketing concept attached to Community Supported Agriculture (CSA). It is, rather, a defining element. Yet in the past few years, some middleman food businesses have appropriated the term “CSA” to describe what they are doing, without involving community. This practice is leading to confusion and concern. Initiated in America in 1986, CSAs are constellations of local farms, food and people who are united in an agrarian relationship for the health of people and planet, and their growing popularity has caught the attention of entrepreneurs. Many food delivery businesses have been started that claim to be alternative, more efficient CSA models but which simply reintroduce the middleman into the local economy, standing between the farm and the people. Donna Williams, 52, founder of Field Goods. Field Goods is a subscription-based service that delivers produce year round from small farms to employees and consumers at workplaces and community sites in the Eastern New York area. It is located in Athens, NY, a small Hudson River town in Greene County. Besides providing consumers with convenient access to local produce on a regular basis, the service tries to motivate them toward a healthier lifestyle. Field Goods has been recognized for hiring workers with disabilities, supporting agriculture and creating jobs in an economically disadvantaged area. The organization was founded by Donna Williams in 2011 and has grown rapidly since then. Williams had been employed in the food industry but was laid off with the business downturn in 2008. Using her familiarity with food-based businesses, she looked around for opportunities in that field. While taking a job with the Greene County Industrial Development Agency to assess an incubator program for new farming ventures, she saw an entrepreneurial opportunity. “There was huge demand for local food and a lot of people that want to start farming, but there wasn’t a scalable distribution system for small farms. 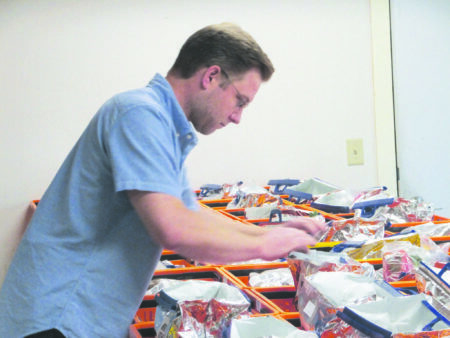 Teddy Gamache fills home delivery baskets for the Hub’s customers. The Winooski River rises in Barre, VT and drops 400 feet until it flows into Lake Champlain just north of Burlington. The loops and bends of the river in the flat land surrounding Burlington actually form the city’s eastern boundary. One of those loops encloses the 700 acre site of city bottomland called the Intervale. Native Americans long hunted and foraged in the Intervale, settling there seasonally because of the rich alluvial soils. Over 400 years ago Samuel de Champlain recorded extensive cornfields there. One hundred and fifty years later Ethan Allen built a homestead there and formed the Onion River Land Company with his family to sell Intervale Land. Almost a hundred years later the Central Vermont Railroad laid track there and Burlington formed a major junction in the system running from Montreal to New York City. During these years the Intervale supported a number of farms as well as the town dump. But by 1980 the farms and even the dump were abandoned, and the Intervale was a dangerous place, used primarily as a dumping ground for tires, old vehicles, and garbage.